An orange-to-green hand-dyed fabric from Judy Robertson (www.justimagination.com) that I have treasured for years found a home in this cactus quilt, developed from a photo taken by my sister Marilyn Beckley while hiking in the Mohave. I added cactus spines to the pieced top with a lovely novelty yarn of rayon, linen, silk and nylon by hand-couching it with tiny stitches. 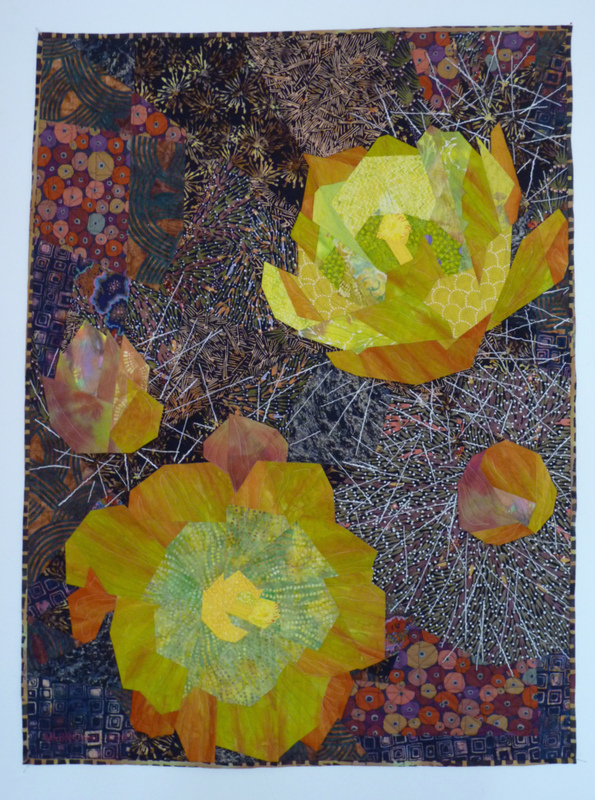 Machine quilt was added to detail the flowers and and outline the spines. Many fabrics that I love my rest in my fabric stash waiting for the right quilt. This one was a special one.